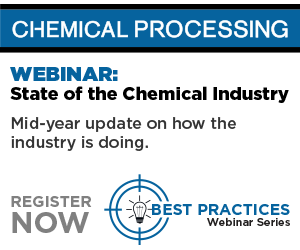 The chemical industry contracted in December while the overall manufacturing sector continues to grow at a slow pace, the American Chemistry Council (ACC) reported Jan. 4 citing the Institute for Supply Management (ISM) t index. Meanwhile, chemical shipments rose 0.4 percent in November following 0.1-percent decline in October and a 0.6-percent rise in September, according to ACC’s weekly economic report. Overall chemical industry employment rose by 4,300 jobs (or 0.5 percent) to 799,600 in December. The gain reflects the recovery from the effects of Hurricane Sandy and was largely centered in production worker employment, which rose by 3,600 (0.7 percent) to 500,200 in December.